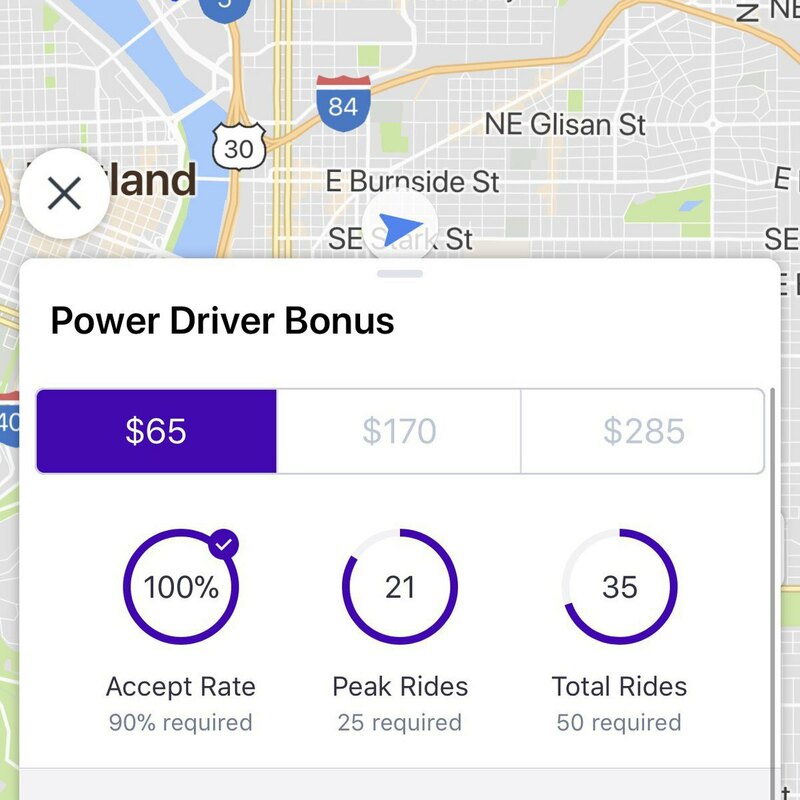 Lyft is like a video game, thanks to the Power Driver Bonus. If I get 4 more rides tonight, I’ll have enough Peak Hour rides for the first tier bonus. But I would still need 11 more total rides. I’d be tempted to drive all day tomorrow, just to level up.